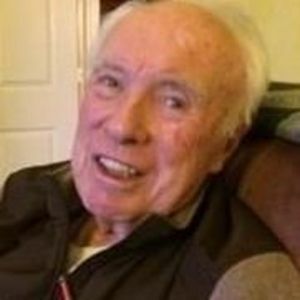 William Fagan (Bill) Hurst of Marina, was born April 20, 1925 in Los Angeles, California and died December 18, 2017. In 1943 he graduated from Compton High School and joined the Navy, serving in California. After the Navy he met his future wife, Eleanor Ballard. Bill earned his degree in Electrical Engineering at Denver University in Colorado. He was the first in his family to earn a college degree and Master's. His first job was at Hughes Aircraft/Missile Division, followed by Firestone Missile Division working at New York's famous Bell Labs. While there, Bill met Werner Von Braun and other famous missile scientists. He built several companies before participating in the building of the City of Irvine, as CEO of the water management agency. He guided the agency into leading edge technology. In 1983 Bill became General Manager of the Monterey County Water Resources Agency where he worked until his retirement. It was a source of great pride to him that his son Greg, earned his Master's Degree, his grandson, Jonathan earned his Ph.D. and granddaughter Caitlin earned two Master's. As a young boy, Bill's passion was flying. As an adult, this passion led him to obtain his pilot's license and he flew for 38 years. Bill was loved for his lively intelligence and sense of humor and obvious enjoyment of people. Dogs were an imperative in his life, particularly Golden Retrievers and Labs. Bill was preceded in death by his beloved parents Frances and Wally Hurst and beloved brother Randy Hurst. They are surely partying now! He is survived by children Greg (Karen) Hurst and Nancy (Rex) McCall, grandchildren Jonathan (Kelly) Hurst, and Caitlin (Doug) Keen and 4 great grandchildren. He also is survived by his wife, Jeanne Porter. Grandpa Bill will also be lovingly missed by Jeanne's children, and grandchildren, Dirk, Brianna, Mariah, Reese, Diesel, Morgan, Elena and Peter, who were loved and blessed by him. He also leaves his beloved critters, dogs Toby and Tucker and cat Fred. Bill enjoyed membership in and/or served on the Board of Directors for: Salinas Rotary Club, SIRS, Meals on Wheels, Board of Directors' Monterey County Employees Credit Union, First Presbyterian Church of Monterey, and Salinas Area Modeler's Club. The memorial service for Bill will be held on Saturday, January 6, 2017 at 1 PM at First Presbyterian Church of Monterey 502 El Dorado Street, Monterey CA 93940. Contributions in Bill's memory, may be made to First Presbyterian Church of Monterey, 501 El Dorado Street Monterey CA 93940 or Hospice of the Central Coast 2 Upper Ragsdale Drive, D-20, Monterey CA 93940-5370 or a charity of your choosing.